Home Clifford R. Seward, M.D. Dr. Seward is a Board Certified Ophthalmologist. He is a graduate of Duke University where he earned his Bachelor of Science in Zoology. Dr. Seward earned his medical degree from the University of Medicine and Dentistry of New Jersey - Robert Wood Johnson Medical School. Dr. Seward completed his internship at the Nassau County Medical Center on Long Island, New York. Dr. Seward completed his Ophthalmology residency at the Harlem Hospital Center in New York City. 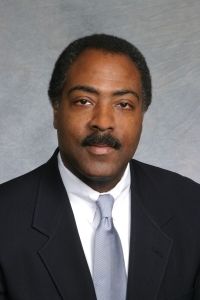 Dr. Seward is a Diplomate of the American Board of Ophthalmology. He is also a member of the American Academy of Ophthalmology. An ophthalmologist is a physician/surgeon who is specially trained to diagnose and treat a wide range of medical and surgical conditions associated with the eyes. These include, but are not limited to, routine eye care for glasses or contacts, diabetic eye disease, glaucoma management and surgical care for cataracts.